Various size BULBS available (see full description and drop down box at top of page). 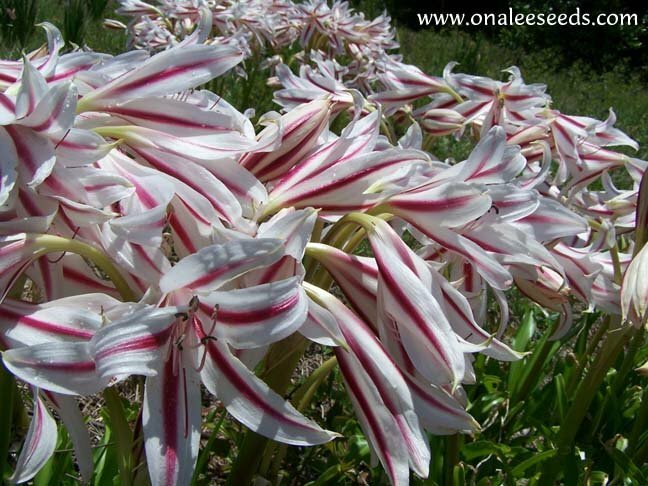 This old fashioned crinum lily is a low maintence plant that produces lovely pink and white stripped blooms about the size of an Easter Lily that have the most wonderful fragrance! 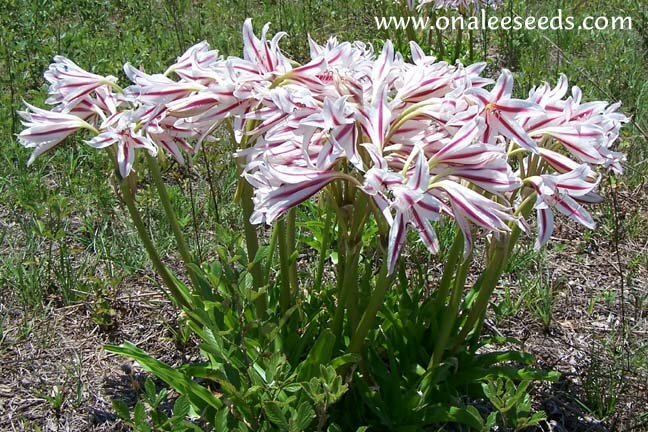 'Milk & Wine" Crinum Lily (Crinum scabrum). 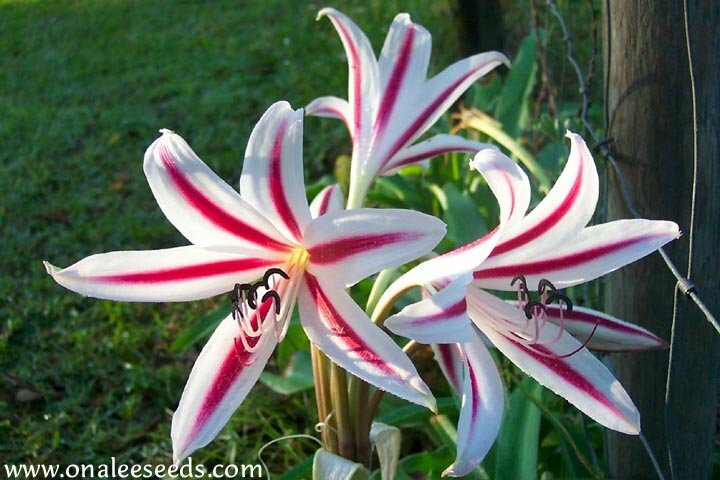 This old fashioned crinum lily is a low maintenance plant that produces lovely pink and white stripped blooms about the size of an Easter Lily that have the most wonderful fragrance! The tall bloom stalk stands about 18 - 24 inches above the abundant foliage and holds several blooms at a time! These lilies are cold hardy to USDA zone 8 and grow very well to zone 11 in full sun or partial shade. These will produce several flower stalks during the warmer months with the majority of blooms coming in the spring and fall. These bulbs are between the size of a large marble and a ping-pong ball and are about 12 months old, perhaps older. They should be blooming within the next two or three years if properly cared for. These are somewhere between the size of a golf ball and a tennis ball. These are over a year old, probably closer to 2. These bulbs are about the size of a baseball and have bloomed for me at least once. They are 3-5 years old. This bulb is approximately the size of a softball and has been blooming for many years. Some of these bulbs have babies attached if there is a baby attached it will be shipped with the bulb. These bulbs are 5-8 years old.